Now most of you frequent readers of the forums and articles will probably consider me as more of a big carp hunter than a comercial fisherman. But yes, I do enjoy a good day out catching smaller carp. So, getting to the whole comercial fishing for carp thing. How do you go about it ? 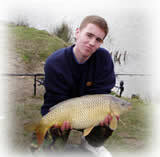 1... First lets start with the size of carp at the fishery. Now most bailiffs are happy to let you know the size of carp in the lakes, but there are some including Mr. John Wilson himself, who like to keep that element of mystery to the equation. But generally you can say the fish grow to the size of the lake. So if it is a small lake you can expect smaller fish. I mean think about it, a 40lb carp isn't going to be very happy in a lake less than 1 acre in size, unless of course its Royal Berkshire...lol. Also, knowing the size of fish links in with appropriate tackle needed. 2... Secondly, its nice to know what bait they like to see most. If they are used to seeing pellet, and react well to pellet, you are best of fishing with pellet (this is a general rule of thumb, for more experienced comercial fishery anglers, presenting an alien bait to the fish can be a killer tactic if presented and loose fed appropriately and accurately). 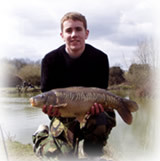 Most fishery websites provide records of past catches and baits caught on. 3... Now, coming to tackle. Personally I think the idea of comercial fishing is having a fun day out. So to make it fun, the appropriate tackle plays a big part in it. For example, if the average size fish is only 5-8 pounds, you dont really want 15lb line with 3lb tc rods (assuming of course you are ledgering). Otherwise the fish aren't going to stand much chance and it wont give you that special feeling and rush of adrenaline you get when playing a fish. Assuming the fish are 5-8lbs in weight, you want something around 2 1/4lb tc with 8-10lb line. Thats my personal preference anyway ! 4... Finally, we come to the rules. The most important part of the day. Be sure to check for licence regulations, rod limits, net requirements etc. The worst possible is to turn up at the fishery and be told to leave for something is wrong. Only happened to me once, but there was no signs for rules anyway. So you have got your knowledge of the lake, you know the rules and you have the right tackle, so now what ??????? Well you have to choose a swim, basically one you like the look of or one where you know there is a special feature, anything which makes you feel more confident in catching. From personal experience I can tell you its a HORRIBLE feeling sitting in a swim where you have no confidence in catching. Baiting up is an important part as well. You need to keep the fish in your swim and eager to feed, so you dont overfeed them. "little and often" is a saying I like to go by. Every 10-15 minutes throw in a handfull of loose feed. This will keep the fish in your swim, hopefully long enough for them to find your hookbait ! The rest takes care of itself really, so I hope this helps you to cath more fish and have more fun ! As the pictures show, Luke really knows his stuff....take note !! !